Josh Brookes has revealed the new tyres that series supplier Pirelli has provided this season are hindering his team’s progress as he continues his fight to find the podium. 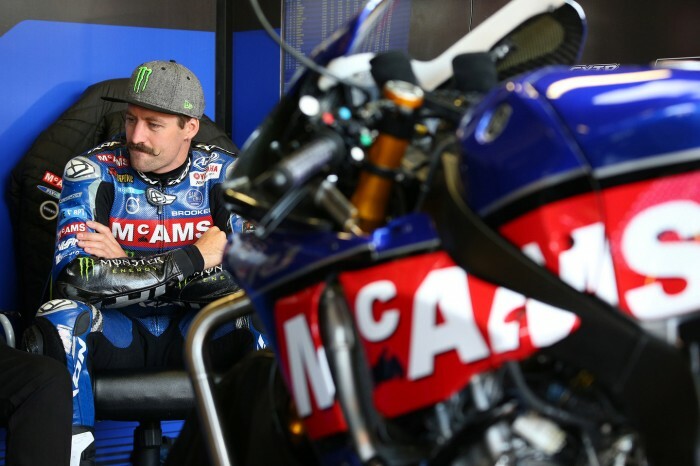 The McAMS Yamaha rider had a trying first round at Donington, but today fought from 17th on the grid before the red-flagged-restart to fifth at the chequered flag. And while last year’s championship runner-up says his positive progress with bike setup was perhaps magnified by the wet weather, he knows he should be on the rostrum. “We made some progress this morning after some significant changes overnight with the bike,” he told Bikesport News. “It wasn’t a light-switch moment, but it’s like the rest of the weekend where we’re just chipping away. “We made some changes from that but unfortunately for race one it was a negative step. So for race two we put the bike back to morning warm-up settings and I felt like it was a step forward. “Even before the red flag and the weather I was up to 11th. For a million dollars I couldn’t have got to 11th in race one… it was impossible. But the 2015 champion admits the rubber Pirelli has brought to the table this season has hindered him, and says he’s not the only one. “There’s a lot of talk around the paddock and it’s no secret that people are having difficult times adjusting to the new tyre. “For me it’s like I’ve come to a new team so I’m thinking, ‘maybe it’s the team, maybe it’s the bike, maybe it’s me, maybe it’s the tyre’. It’s not until you hear those whispers around the paddock that you realise why everything’s stopped working. “The new tyre Pirelli has brought in has had more of a negative effect on us than others. I think I’ve been on the receiving end of the bad side where the bike maybe doesn’t work that well with this new generation of tyre. “Certain changes of tyre affects everybody, whether it’s World Superbikes or MotoGP – certain riding styles, certain bikes and certain riding characteristics are affected differently. “I feel like that’s where the wheels have come off the cart for us, and now we’ve got a better understanding of actually it’s the tyre that we have to focus on.